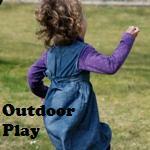 OutdoorsMom: How outdoor play prepares kids to be successful adults! 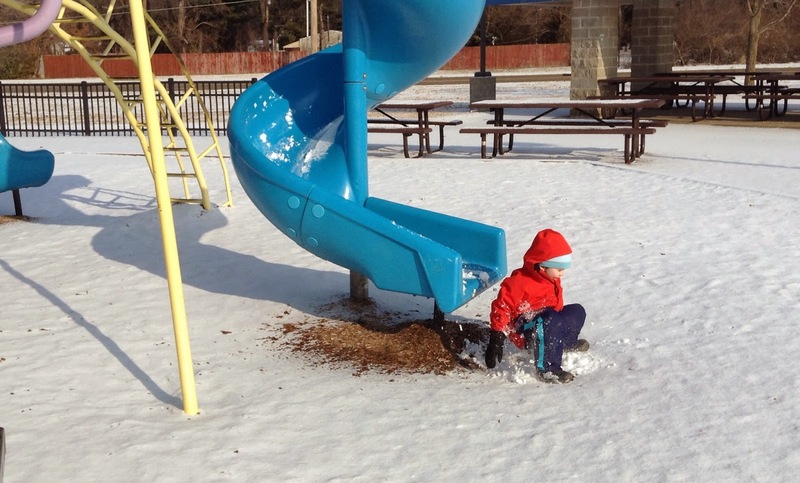 How outdoor play prepares kids to be successful adults! I read the article 7 Crippling Parenting Behaviors That Keep Children From Growing Into Leaders from Forbes magazine last week and was surprised, somewhat, to see that the first "crippling" parental behavior listed was parents not allowing kids outdoor time because of safety concerns. 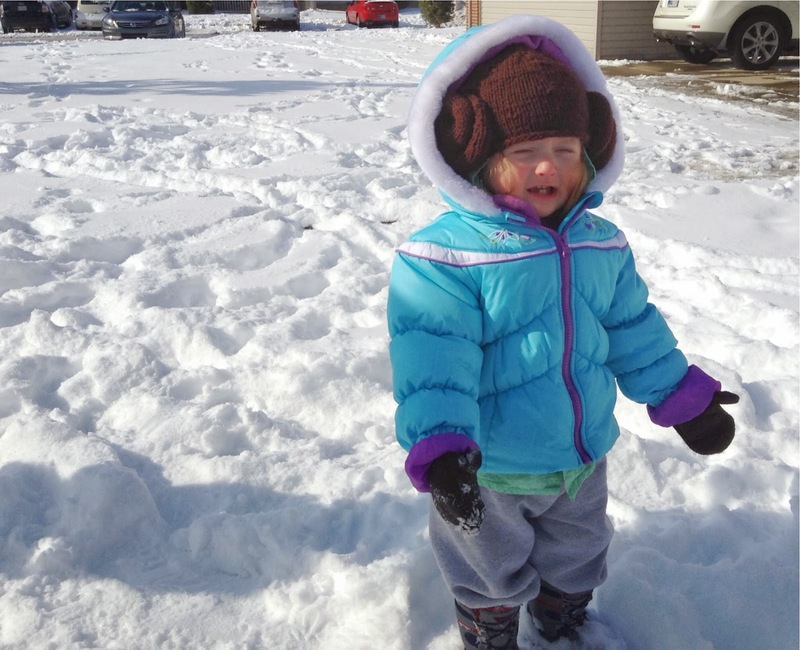 My daughter's reaction to her first experience with snow. The article sited research from Europe that found when children were not allowed to play outside and experience skinned knees, they more frequently developed phobias as adults. When risk was removed from children's lives they tended to be more arrogant and have lower self-esteem. I think we can all agree that we don't need to put our children in dangerous situations but they do need to learn natural consequences and how to deal with them. No matter who you are, you are going to fall, stumble and fail. If we as parents don't allow them to experience those failures and the process of picking oneself up again they will not know how to deal with many of life's experiences. Running and hiding doesn't serve well as a coping mechanism. "Children will have self-esteem and/or resiliency when they develop healthy beliefs and skills. Self-esteem is founded on such beliefs as, “I’m capable. I belong. I have power in my life. I can handle disappointment. Mistakes are opportunities to learn.” They will have greater self-esteem and resiliency when they have skills and know, “I can solve problems. I can recover from mistakes. My thoughts and feelings are respected. I know how to think about the consequences of my choices. I know how to be respectful to myself and others.” (source - check this website out for a ton of parenting ideas). I think we all want our children to be able to be successful in their chosen professions and life. Playing outdoors is an essential part of growing and maturing. Good thing we didn't give up. Electronic-Free Time - I purposefully don't have an internet enabled phone. It is important to just disconnect and spend time together. Cheaper - There are so many free outdoor activities, the possibilities are endless. Granted there are some very expensive activities. But there are plenty that aren't, so get creative. We spend less on home electricity bills. We're not home, so everything is turned off. Healthier - There are so many reasons for kids to stay inside nowadays: video games, tv, internet, movies, homework, and laziness. It is more important than ever to set a good example for our kids and get outside. Happier - In addition to just being happier, my kids don't seem to argue as much. There are way too many other things for them to focus on beside bothering each other. Why do you spend time outdoors with your children? 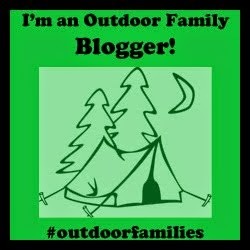 What benefits have you seen in your life from outdoor activities with your family? If you enjoyed this post please join the conservation on my facebook page, follow along on twitter, instagram, pinterest or sign-up to receive posts my email (towards the top on the right).